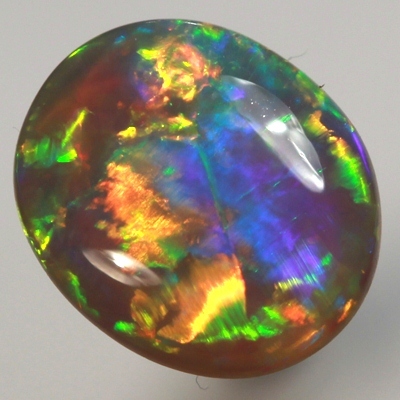 Constant colour moves through the translucent body of this gorgeous opal in a 3 dimensional play-of-colour. The absolute neon brilliant colours just sparkle at the very slightest of movement. Red, orange, yellow, green and violet fire is captured in a never ending display showing beautiful full on colour always. Great in all lights.